For the holiday season in 2013, Symmetri decided they wanted something a little different than a holiday card. They challenged me to create a quick web game. 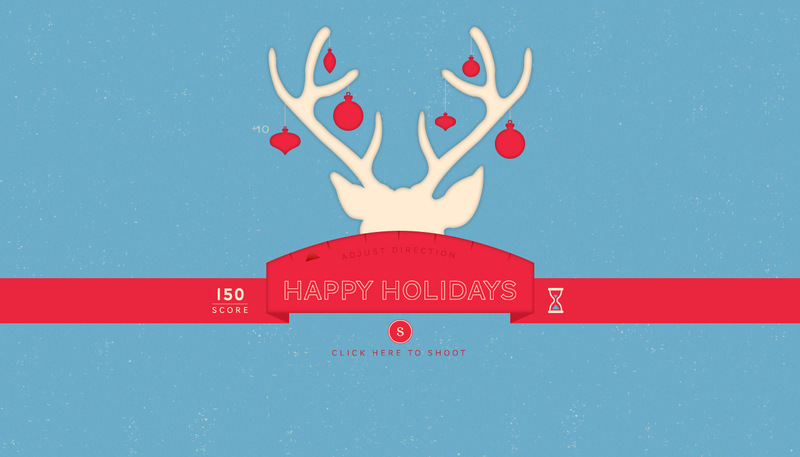 The result was a simple shooting game in which you try to knock ornaments off a reindeer's antlers. They tried marrying it to a Red Cross donation .. which was a little head-scratchy, but overall the concept is nice looking and fun, if a little hard. The design is not my own; only the code running it.